As far as city breaks go, Milan is one of the best. With incredible architecture, breathtaking culture and some of the best eateries in Europe, it's a must-visit location. A common misconception with Milan is that its appeal is purely in the 'look', and the city lacks the authentic soul of its rivals; Paris, Madrid and Berlin. This could not be further from the truth - Milan is more subtle and the fun is in finding its hidden gems. By day, Milan is a great place to explore, with the Milan Cathedral an excellent place to start as the fifth greatest Cathedral in the world and a survivor of the damage of WWII. Next, feast your eyes on some classic artwork by visiting Santa Maria delle Grazie, a museum pickled with Leonardo di Vinci paintings. There's an easygoing vibe in the city, so try not to pack too much in and embrace the relaxed tone. Milan is one of the forefathers of fashion, with designers including Versace, Gucci and Dolce & Gabbana showcasing their designs first on the Milan catwalk. This lends itself to an incredible shopping district you won't want to miss! You don't have to be a sports lover to soak up some of the passion that the locals here encompass. Head down to San Siro on a Sunday and watch an Inter Milan or AC Milan match. A lot of places will be closed in August for the summer holidays, so aim for a July or September break. 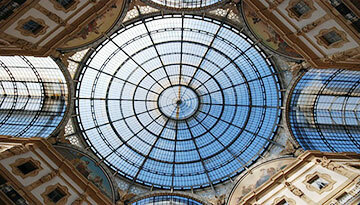 Expedia offers low-cost flights to Milan from London Luton - price starts from only £85 as round-trip. 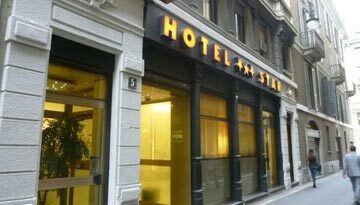 Hotel Star, Milan offers 3 star 1 night room stay at £69 & save up to 40%. 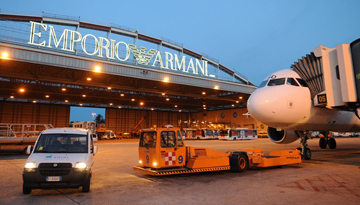 Fly from Luton - Milan & Stay for 7 nights with 3 star accommodation. Room Only.